This is a word I've heard a lot of in the last little while and really quite present in my school environment. I only ever really heard it when talking about chickens and their eggs, bacteria, premature babies, so naturally when a guest speaker in my business class used the word three times, I was scratching my head a little bit. Then I began to understand his interesting word choice. This was a young entrepreneur speaking about the process of starting one's own business. The early stages of the business, between the sprouts of an idea and the execution of it, are often referred to as an incubation period. Taking it back to the chicken and egg, it's a fairly spot on metaphor. The mother hen sits on her eggs, provides them with heat and the right environment for them to grow inside the egg and eventually hatch into a healthy chick. Put yourself in the place of a mother hen and replace the egg with your grande idea and voila - also incubation! So incubation is where your idea becomes nurtured. It's where the brainstorming occurs. It's where the details of every little bit become clear. It involves trial and error, surveys, test runs, even failures. It involves a lot of fear and a lot of doubt. But I'm pretty sure that's all normal. A year ago I was going through the incubation process of Fijord. 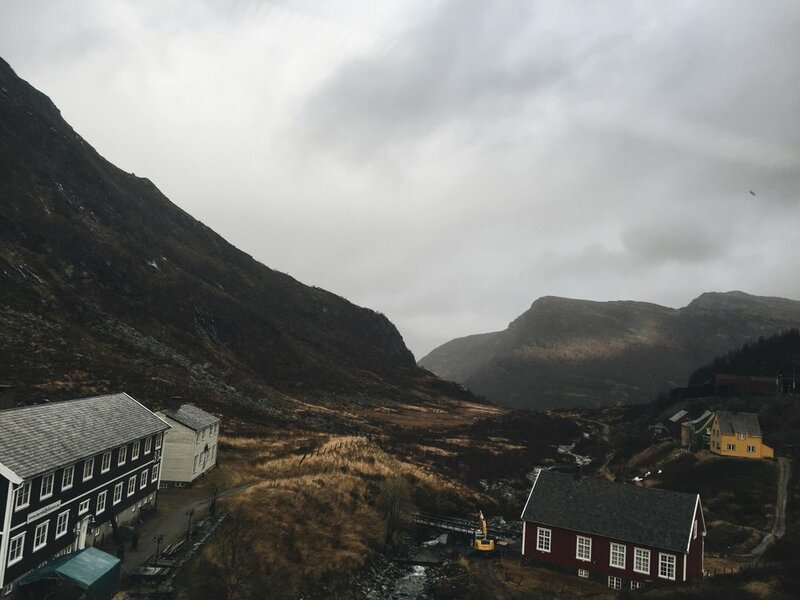 I was off in Bergen, Norway by myself, with a fairly clear head space, my notebook of scribbles and a hunger for adventure. The idea to start something new, a creative outlet of sorts, was already stirring. I was in the process of settling on ideas, names, concepts, themes. This trip to picturesque Norway was ideal for inspiration. 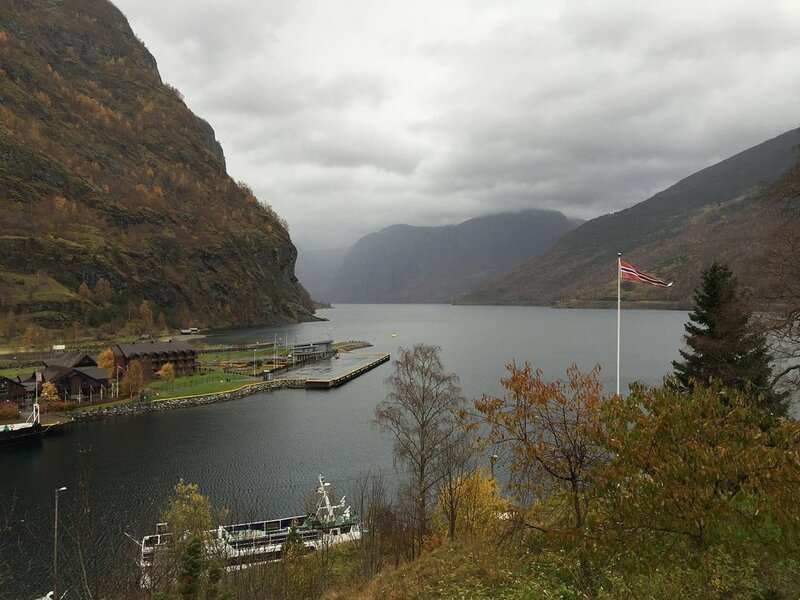 I tried to create my own trip on the Flåm railway to the town of Flåm to see the fjords, instead of doing what normal people do and book a regular guided tour. I failed miserably. While I made it to Flåm, the journey back had me somehow waiting alone in Myrdal for two hours. I thought it would be fine - I'd kill time at a cafe or bar or explore the town. Myrdal is at an altitude of 866 metres and the train station is maybe the only sign of life in Myrdal, give or take a few houses. It was also an exceptionally windy day (and at this time, pitch black outside) so anytime I left the doors of the sturdy Myrdal train station, I was virtually flying. I also had assumed there would be people at the station - other travellers or perhaps people at the ticket office. But I was wrong about that too. Everything had likely closed a few hours ago, which meant I was 866 metres high, in Norway, at night, stuck in a train station for two hours, with not any other heartbeats around me. Despite experiencing what was ultimate solitude, I knew I was going to be fine. It was maybe the scariest thing that happened to me while travelling since the Iceland wave incident (that's a story for another time), but somehow I was able to laugh at the situation, even then. The moral behind it was that I had made a mistake. I didn't do my research well enough and even though I felt like this big strong, independent adult, I was, and still am, learning the ropes. So all of this - the most stunning, scenic train ride, alone time (with some new friends along the way) hiking in the mountains, and sitting on the desolate bench at Myrdal station, was a part of my incubation process and how I came up with the name of Fijord and the underlying theme that is the discipline of growing into an adult. A lot of people ask me why I spell it 'Fijord', which is obviously an incorrect spelling of 'fjord'. To answer that question, it's referring to people when they're in a foreign country and they try to pronounce a word, despite not having any familiarity with the dialect otherwise. Despite failing, the good intention is there. This can be symbolic as to how many of us (especially myself!!) are out here trying very hard to become grown ups and sometimes we'll just fall flat on our faces. But it's all about the trial and error. The living and learning. Maybe that's what being an adult is all about?